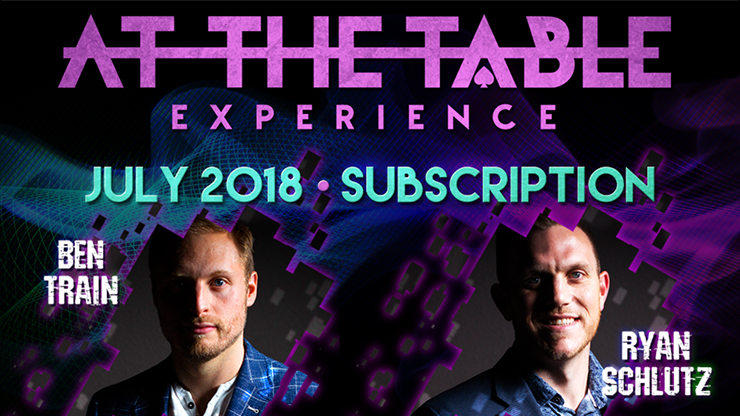 Today, when you order "At The Table July 2018 Subscription video DOWNLOAD", you'll instantly be emailed a Penguin Magic gift certificate. You can spend it on anything you like at Penguin, just like cash. Just complete your order as normal, and within seconds you'll get an email with your gift certificate. Ryan Schultz is best known for his "moveless magic" that fools many magicians on a constant basis. Ryan's well-choreographed subtleties and carefree style leaves witnesses with a feeling of astonishment with no signs of foul play. He is sure to amaze even the toughest of critics.